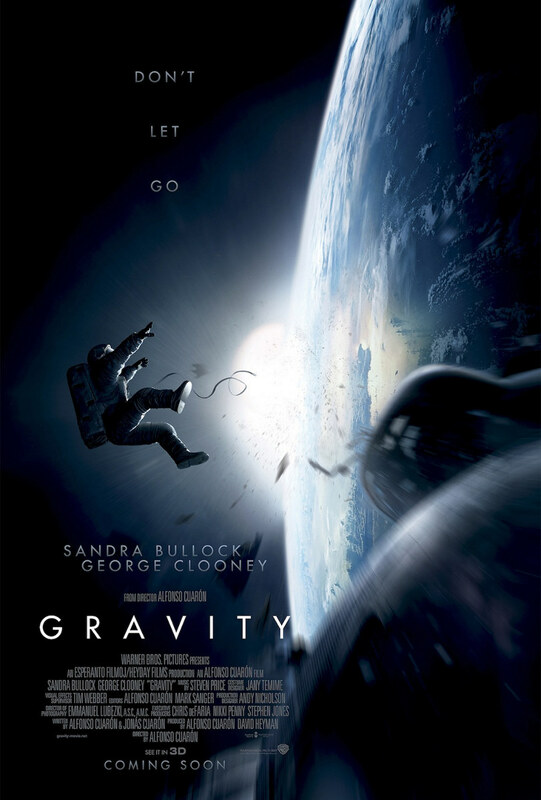 After an unexpected accident, Dr. Ryan Stone (Sandra Bullock) and veteran astronaut Matt Kowalsky (George Clooney) are drifting in space without much hope of being saved. How can you save yourself if there is nothing and no one around you? I went to see this movie two weeks ago in an IMAX Cinema near Chicago, and I have to say it was the right decision to wait until I was able to see it at an IMAX. The graphics are amazing, I felt as if I was drifting in space, and even though space is wide open, it felt very claustrophobic and intense. I have always been a fan of Sandra Bullock, but her performance in Gravity blew me away. She had my eyes glued to the screen, even though there wasn’t much to see at times. Like so many, I wasn’t sure what to expect since there didn’t seem to be a tight story besides the survival in outer space. I mean Alien had at least a space shuttle, but in Gravity they were really mostly drifting, which definitely reminded me of the movie Open Water. However, Open Water was a huge disappointment in my opinion, and didn’t measure up to the huge marketing hype. In Gravity‘s case I would say the movie is much bigger than the hype. We have two very strong actors who both deserve an Oscar for their overwhelming performance – especially Sandra Bullock – outstanding visual effects, and a story that is so little but so catchy. Watch it in an IMAX Theater to get the full experience; I did feel a little sick at the beginning because the visual effects, and the spinning and turning were a little too much, but once I got used to it, I actually wished the movie would have continued for another 90 minutes when the end credits rolled it. By the way, Sandra Bullock has some thick and muscular calves which are nice to look at. Am I the only one who noticed that? I don’t understand all these comments about how unrealistic this movie is as far as the oxygen masks in space go. Last time I checked this movie wasn’t based on true events, nor did anyone claim it was based on scientific facts. It is a blockbuster that entertains until the very end. So, go watch it, if you haven’t done that already! Otherwise you will miss out on a visual masterpiece! Styled to Rock (2013) – Competition for Project Runway? Pingback: 10 of The Best Movies of 2013 | Simon Says... WATCH THIS! Wow, this sounds amazing, can’t wait to see it! I am DYING to see this! YESSSS! 😀 Is it released in the UK? Thank you, my friend. It’s good to be back! Had a lot going on, my sister also came from Germany for two weeks, so I didn’t have time for anything!